Discover, learn, understand. Fascinating online courses for everyone who wants to be an even better mum, dad, grandparent or carer. From bump to 18 years, lifetime access, one off payment, prices start from £19. This is your place. A secure and safe place to feel confident to learn and understand more. You’ve got lots going on! You want to do the best for your child and you may have accessed websites, videos or books for advice. 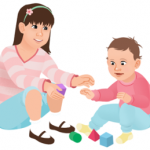 We’ve created in-depth courses based on established psychological and child development theories, which you can access in bite-sized 15-20 minute chunks. Our popular online course about 0-18 year olds was the first to be awarded the Government's CANparent Quality Mark. Our trusted online antenatal course was designed by Registered Midwives and health professionals. 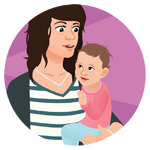 Our postnatal course was designed by health visitors and health professionals. We've created the online resources and courses for you to enjoy, and to help you develop as a parent as your family grows. We’ve built a range of courses with you in mind so that you can understand your kid’s development in depth but quickly and easily, on your own or with your partner. You can access lots of really great resources. Dads love the online course for parents. You will gain insight into the psychological and neuro (brain) science behind your child’s behaviour. There is also an antenatal online course and a postnatal online course. Become more informed about the role you play in your child’s development … you know, the things that Mum’s just seem to know with no evidence of having read up on it! Do you know how your brain makes connections between your feelings and behaviour? Neither do your parents! (maybe!) That's why they come to our website, so they can understand just how great you are. You can find out more on 'Downloads'. So now you are having grandchildren! It comes around fast doesn’t it! We’ve built some fun tools to help you be part of your son or daughter’s and your grandchild’s life. You can read the latest research and refresh your knowledge. Do the online antenatal course or the postnatal course or the online course for parents to support your child with your grandchild! We know that you have lots of choices, but we think we have something that will be useful to you now and in the future. You can learn more about understanding your pregnancy (our online antenatal course), your baby (our postnatal course) or your child (our course for parents). Course for parents, Understanding your child, now available in English or Urdu. Choose to do it in Ourplace. After all, it’s your place. 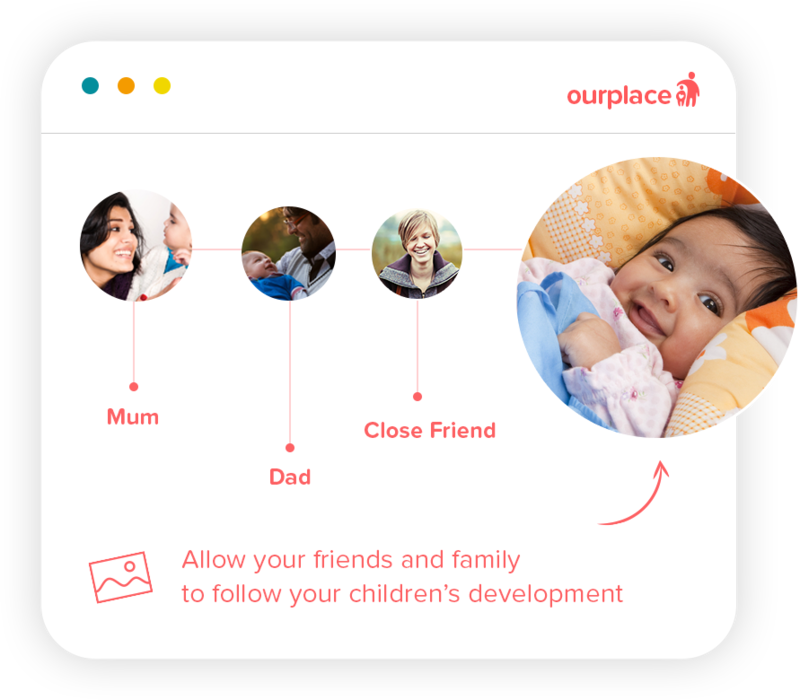 Connect with your family in Ourplace. Invite loved ones to learn with you. Welcome! Ourplace is here to be your place. A place that belongs to you and yours. You can Learn together in Ourplace. You've done the online antenatal course and your baby is in the world now. Do you want to understand more about crying? Or sleeping? Try the postnatal online course. Are you thinking about your older children? Try the online course for parents. Learn more! Bring those that you love, and love your children, closer to you and become part of the story. Grandparents love these courses too! This is your place. A secure and safe place to feel confident to learn and understand more. We are not driven to collect data – that is not our purpose. Nor do we share your data. Get access to information and understanding. Discover together. Online course for parents, online antenatal and postnatal courses with proven content and Quality Marked. Track progress, make notes, test your knowledge and understand more. Connect with your loved ones and learn together, or discover on your own. It’s your choice. Learn now. "I was a little apprehensive … because I knew I wanted to learn but I didn’t know exactly what the course was about. But as it is online I could do it in my own time and find out for myself. It’s excellent!" Loving the parenting online course, excellent!!!! Really enjoyed this course! Best £39 I've ever spent!